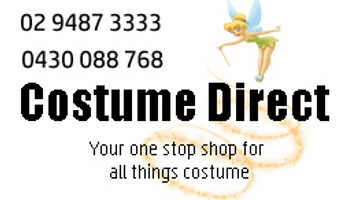 Horse and Jockey Melbourne cup costumes from Costume Direct ship fast from Sydney, Australia! What better way to pay tribute to Australia's famous November horse race, than with one of Costume Direct's Melbourne Cup costumes!? For kids and adults, we have a superb range of jockey costumes, jockey hats and horse costumes to get right into the race that stops a nation. Giddy-up into CostumeDirect.com.au and be all ready to ride into the party this Melbourne Cup.